Who here doesn’t like the upside of risky assets? Probably no one. It’s likely that a fair amount of people during bull markets probably forget to consider that equities are risky investments. But then the horrible bear like the one straight out of the movie Revenant chews through a portfolio as it chewed through poor Leonardo DiCaprio (it was a very intense movie by the way). How many of you can recall the last time some of the major U.S. stock market indices were down over 10% or 20%? Now how many of you know that most of those losses have now been made back up? However, when these big and sometimes quick corrections occur, recession talk begins in earnest. But guess what a 10% rally does to those thoughts, they tend to quietly go by the side until the next downswing occurs. And while we think that the markets trade on company fundamentals, they are only one piece of the big picture. Market sentiment has just as much to do with the performance of a market or individual stock than its fundamentals do. I’ve looked at numerous company stocks that are now up 20% to 30% within the past 90 days. Their fundamentals haven’t changed although their prices sure have. 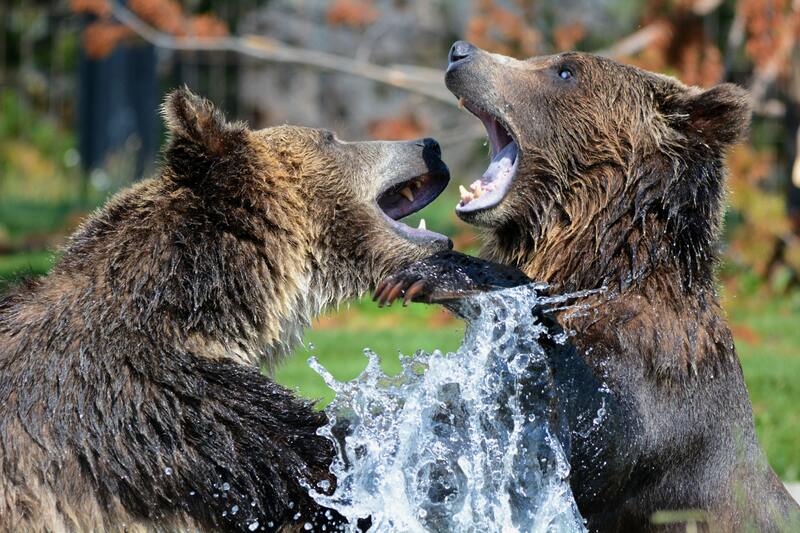 Remaining calm during market turmoil is hard because investing can be such an emotional battle. Whenever my wife tells me to calm down guess what happens? The exact opposite. This is precisely why I try never to tell a client to remain calm while the value of their portfolio drops during a market correction. Research has proven (see here and here) that telling people to remain calm in a stressful situation has the opposite effect. From an asset management perspective, I have learned that one of the best ways to combat these emotional forces is to have a handy list ready to go of companies that I would like to own at a specified price. It sounds simple but is still quite hard to do when you see markets that continue to plunge in price. My main objective as an asset manager is to help protect my clients’ assets first which is commonly referred to as capital preservation. And while my secondary goal is to beat our benchmark every year, I know along with my clients that in some years we do beat it and other years we do not. But we all have a game plan for what it is that we are trying to achieve. Remember that achieving your long-term objective whether they be financial or lifestyle goals, is driven more by how much you save and spend rather than by how much your investment returns are. The market in many aspects is like the movie Revenant, there are rallies and then counter rallies with unexpected events occurring quite frequently. But at the end of the day, Leo had one goal in mind, and nothing was going to keep him from it. Be sure you know what your goals are and have an adaptable plan to achieve it.